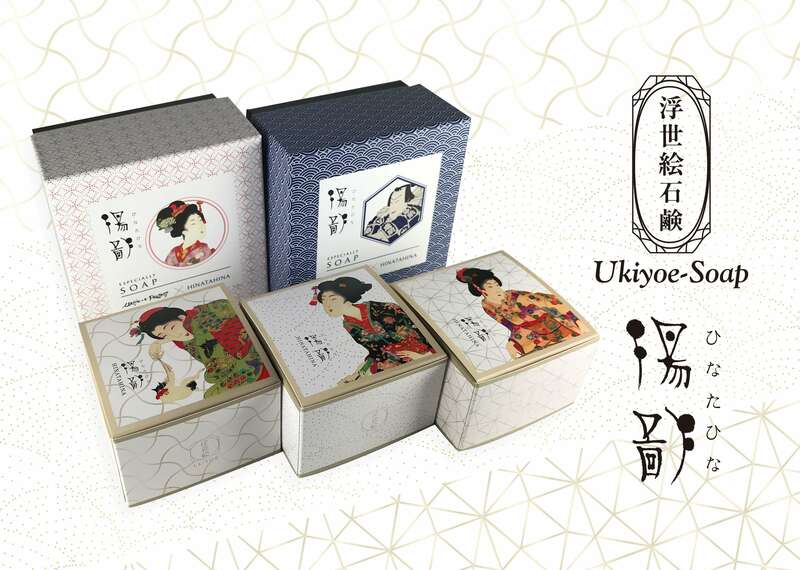 A brand of Ukiyo-e themed soap by Hinata Hina is currently on sale at the SOLEIL TOKYO pop-up store in Shinjuku NEWoMan, a huge shopping mall packed with fashion boutiques, food shops, cafes, bakeries and restaurants, and more. The soap is available until August 16. The soap was created with the Edo period in mind. There are two different gift packages being sold in addition to three new designs available in early limited stock before they go on general sale. The soap is a fusion of original lactic acid bacteria which enables a luxurious marshmallow-like foam when lathered that’s gentle to the skin, opening your path to looking beautiful like those in the ukiyo-e illustrations. The soaps are made in Japan and are made using only the necessary ingredients. They are made simply, use no synthetic surfactant and are odour-free. This is all replaced with natural ingredients like plant lactobacillus, yeast, honey, and olive oil. They make for a perfect souvenir for Japanese, so be sure to check them out if you’re in Shinjuku.